Located in Marietta, Georgia, MiMedx is focused on developing technologically innovative bioimplants which offer the surgeon a variety of clinical options, allowing for greater flexibility in treatment and improving surgical results. 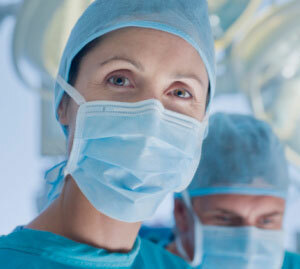 The MiMedx team incorporates the expertise of leaders in the bioimplant industry. Specific medical oversight is given by the company’s medical director who is responsible for evaluating and qualifying each donor tissue for transplant eligibility. In addition to medical oversight, the medical director also performs a leadership role in regulatory compliance and scientific research. A multi-disciplinary group of surgeons and pathologists comprises the company’s medical advisory board, providing additional scientific, clinical, and ethical support. MiMedx develops bioimplants manufactured from human amniotic membrane which can be used in a wide variety of surgical applications. MiMedx utilizes the proprietary PURION Processing of placental amniotic membrane tissues that involves gentle rinsing of the tissues, followed by dehydration, packaging and terminal sterilization. The final bilayered EpiFix and AmnioFix products may be stored at ambient conditions and are easy to use and handle in clinical practice. MiMedx is dedicated to ensuring the highest standard of integrity and care throughout the entire placenta donation process.